At Kellys we believe in putting the customer first. Our excellent customer service is what keeps our customes coming back time and time again. Below are some comments from our happy customers. 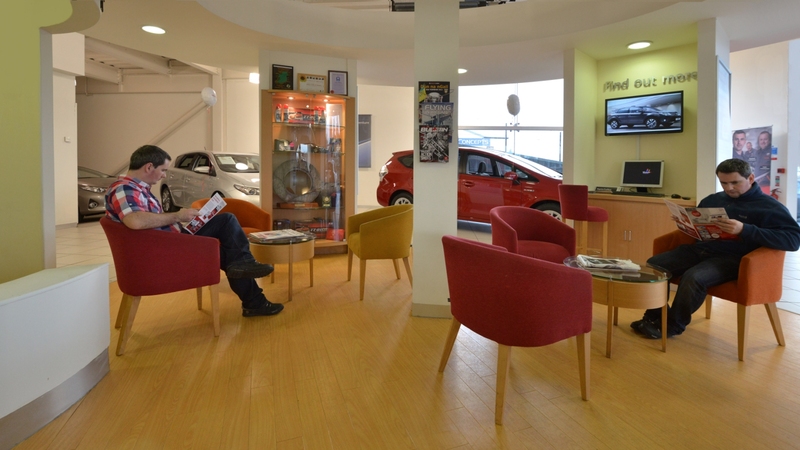 "Dealing with Kelly's for 27 years - Brendan is more of a personal friend than a salesman"
"Nice personal service, staff well informed, I didn't feel under pressure to purchase - I felt the final decision was mine once I had all the details." "Excellent service from salesman was made feel valued and important. "Excellent, friendly customer service. No unnecessary waiting around, and my car was ready when they said it would be." "Always very helpful and try to fit car in as soon as possible. Very friendly and efficient. Will always contact me first before they do any extra jobs that may need doing on car." "I have always found Kellys of Leterkenny very professional and efficient and have no hesitation in recommending them to anyone."